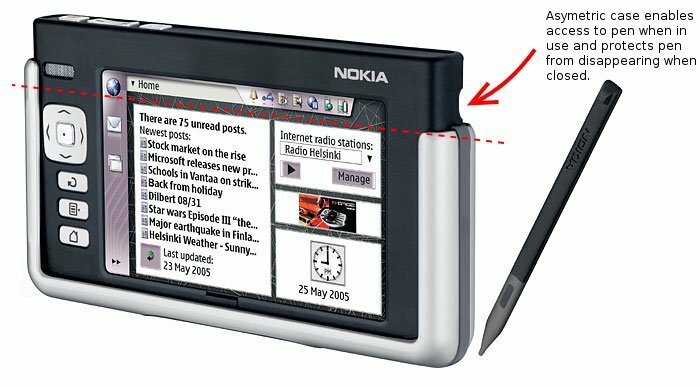 I got me one of those nifty-spiffy Nokia 770 Internet Tablets. It has an interesting two-piece construction, with a cover that goes on front-ways to protect the screen, and back-ways to allow access to the screen and buttons. It has a magnet and sensor to detect when the cover is hiding the screen, so the machine sleeps when the cover is on. 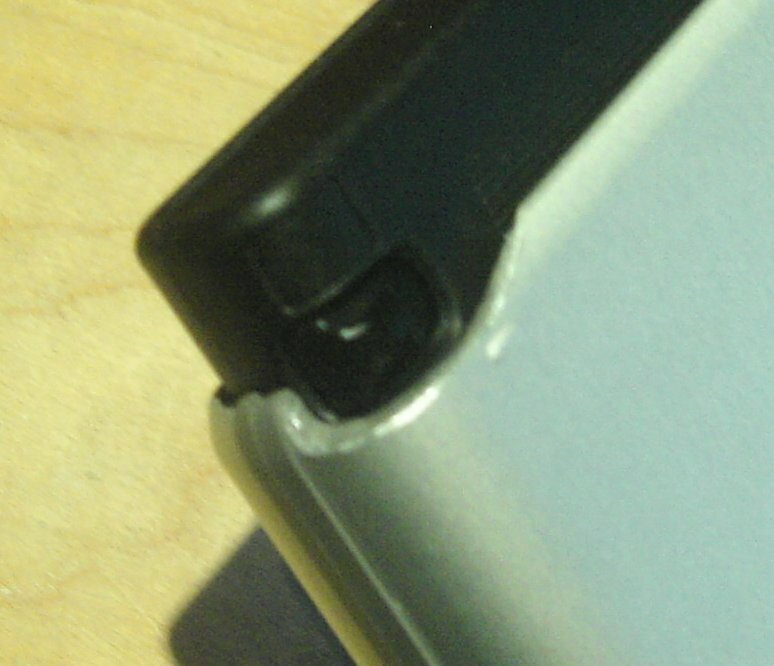 The cover also keeps the stylus from falling out when it's closed. Unfortunately, when it's open, it also prevents you from accessing the stylus. I suspect that Nokia didn't build the cover this way because they thought it would look funny. Perhaps so. Another reason to build the cover with one side shorter is that it's easier to put the cover on the 770. The lower side would help you get it into the cover more easily.